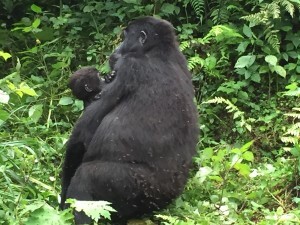 In addition to being a Param Yogi, Kerry Morris is enthusiastic about plants, birding, and mountain gorillas, which led her to visit Uganda in 2015 to experience them up close. While there, she made friends with some locals and discovered that one of their most pressing needs was school supplies for the children. In the years since, she has focused her energies on raising money to send school supplies to Uganda by gathering items on her travels to sell and holding fundraisers at Param Yoga. Many of you donated money and purchased items that Kerry sold at the studio to benefit the cause. Thank you for the amazing support you have given to provide school supplies for children in Bwindi. For my journey, I traveled to Uganda with two suitcases to check: one, extra large, filled with pencils, crayons, sharpeners, notepads, paper and 24 deflated soccer balls, 24 pumps and extra needles. Our first mission was to track down some boys that I had photographed on the banks of Lake Victoria near the Mubamba Swamp in 2015. 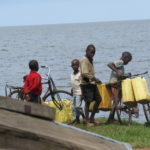 The boys were collecting water in huge plastic containers, then putting them on their bicycles and walking back to their homes. They paused for a bit of soccer with a ball made of rags and twine. At the time, that image burned into my memory bank, as I couldn’t believe these kids didn’t even have a soccer ball. 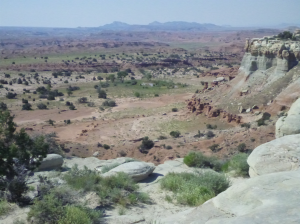 Livingstone and I drove right to the spot and saw a young boy walking his bicycle up a hill. We showed him the photo of the boys and asked if he knew them. “Yes!” he said. He said two were brothers, and he described to us where the brothers lived in the nearby village. We drove there and found the house. The boys were in school, but we met their mother. We showed her the photo and she smiled. Yes, two of the boys are hers. We explained that we wanted to give them each a soccer ball, pump and extra needles and why. We also gave her several photos, including extras for the third boy that was a friend. We gave her a soccer ball, pump and extra needles for the friend, and also gave a bag with ball, pump and needles to the young boy we met near the lake, who directed us to the boys’ mother, because by this time he had joined us at the house. We chatted, took some photos, and left. He quickly did a U-turn and we went back. We turned onto the school road and headed towards the main school buildings. Activity stopped as all eyes watched to see what we strangers were doing there. We quickly found some teachers and explained that we wanted to give some soccer balls to the school!!! In no time at all, the children surrounded us! We took some photos, shook hands, and then had to leave—the school bell rang and it was time for the kids to get to class! We didn’t get a chance to see them use the balls, but we left with the biggest smiles and our hearts full of love—it was the best feeling in the world! 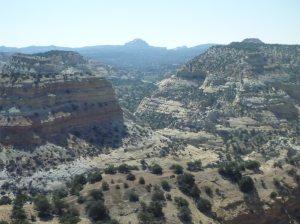 As we continued our drive north, we high-fived each other and the joy we felt was incredible. 1. This photo is from my first trip. It got me thinking about kids not having a soccer ball! 2. This is the mother of two of the boys we saw by the lake on my first trip. Standing next to her is the young man who ID’d them in our photo. Her kids were at school when we stopped by to deliver our gifts. 3. This is the first school we stopped at. As noted in my story, we drove by and saw the kids on the field playing with rag soccer “balls,” did a U-turn and gave them some balls. We left with the BIGGEST smiles on our faces! The experience was way better for us than the kids! 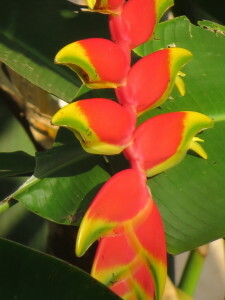 Each and every day brought lush scenery of varying types, lots of great bird watching and many, many animals. Oh, did I mention the people? Uganda is a beautiful country and the people living there are every bit as beautiful. Extreme poverty has not diminished their inquisitive, polite and giving nature. Daily life in Uganda is not easy, especially when you have no running water, no electricity and no vehicle. If you’re lucky, you have a bicycle. When villagers in Uganda need water, they or their children have to walk for miles, most often barefoot, to a well. Carrying the familiar, large, pale yellow, plastic containers of water—that must weigh at least 50 pounds—is hard work, especially in the intense Ugandan heat and monsoon-like downpours. Often, we met people who were kind and sometimes went out of their way to help us. We traveled through vast African savannas dotted with elephant, giraffe, lion, hippopotamus, Nile crocodile, hyena, Ugandan kob, oribe, hartebeest, eland, impala, mongoose, jackal and African buffalo. At one park, we even saw a rainbow one evening! Turning south, we stopped in a large town and, using funds raised through sales and donations at Param Yoga, we purchased boxes of school workbooks, paper and math kits to add to our stockpile. 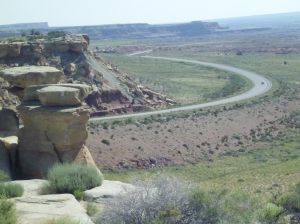 We birded along the way, often just along the side of the road. We stopped at a school in a very poor village in the mountains. Although it was a holiday week and kids were enjoying their time off at home, we found the headmaster and a few teachers there. We explained that we had some supplies and soccer balls for the school. He didn’t need to tell us the supplies were sorely needed: we could tell when we entered the school grounds. Again, we drove away from that school with the biggest smiles! 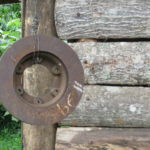 We arrived in Buhoma, the village at the entrance to Bwindi Impenetrable Forest National Park. Sweet memories flooded my heart and mind as we drove towards our lodge. I was so happy to be back—my eyes filled with tears. I couldn’t stop smiling. I remembered the rough road, the rustic shops, the homes and the village. At the new Park Headquarters the next day, I saw my friend Omax, who is a gorilla guide in Bwindi. What a great reunion! He didn’t know the dates of my arrival and was thrilled when Livingstone told him, “Kerry is here!” I also saw other people at the Park Headquarters that I had met 3 years ago. That night, Omax, Livingstone and I happily organized our treasures and decided to visit two schools the next day and deliver the supplies. 1. 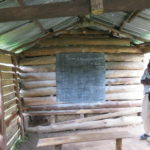 This is the first school in Bwindi. 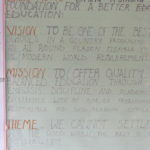 The sign shows the school’s goals. 2. Omax, Livingston, and the school principal taking some school supplies and soccer balls from us. 3, 4, 5, and 6. 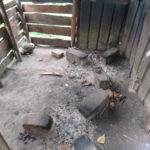 Classroom, kitchen, and school bell at Bwindi Ebeneezer School. Our first stop was Bwindi Plus Nursery and Primary School. The motto of the school is “Laying a Strong Foundation for a Better Education.” Nursery School is 3 years and Primary School is another 10. The school headmistress, Elizabeth, is very driven and goal-oriented. There are several buildings, with dirt floors and chalkboards in each one. There are benches to sit on. Some had colorful decorations made by the children hanging from string, but the rooms had no books, no papers, no pencils, and nothing on the walls as we see in U.S. schools. Almost 3 years ago when I sent boxes of supplies to my friend Omax to distribute in Bwindi, he came to this school and it was simply a brick building. It was amazing to see what’s been done in 3 years. This school has a lot of donors from church groups in Sweden. Elizabeth was thankful to receive our supplies and assured us the children would make good use of them! The second stop was about 15 minutes from the main village of Buhoma. We drove up a small hill within view of the village and below the main mountains in Buhoma. This was Bwindi Ebenezer Nursery and Primary School. 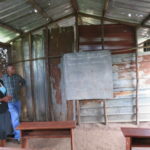 The headmaster told us that he opened this school so children wouldn’t have to walk four or five miles to get to school. This school also had a few buildings, but they were not at the same level as the previous school. These buildings looked like former stables for animals. They were not made of mud, but of wood, and had uneven dirt floors inside. There were no windows with glass. It was dark inside and no electricity. There was a chalkboard and some benches for sitting. Nothing else. Words can’t properly explain the feeling of happiness in giving these items to those who need them so desperately. With encouragement and loving support from Marydale, Kirsten and all of you at Param Yoga, we made a huge positive impact on the lives of so many. Did you know that more than a million people in Los Angeles County are considered food insecure? Food Forward is a local nonprofit with opportunities throughout Los Angeles for volunteers to harvest and recover fresh fruits and vegetables that would otherwise go to waste. 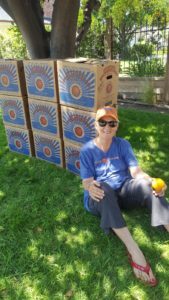 Food Forward’s backyard harvest and farmer’s market glean programs are volunteer-powered and have helped them recover more than 50 million pounds of produce, which is then distributed directly to hunger relief agencies in the area that serve a diverse clientele. Karen, who is a dedicated Param Yogi, is seen at right taking a break during one of her gleaning sessions for Food Forward. She is passionate about the program and wants to share this information with our community for those who’d like to get involved. If you’re interested, visit Food Forward’s volunteer page to join one of more than 180 monthly events near you. How did I find the time and energy to write a book amidst a busy life as a wife, mother, professor, and consultant who travels almost every week for work? Marydale had a lot to do with it. Cherise had a lot to do with it too. When the many obligations and stresses of life start to overwhelm me, I remind myself that there is a magical place where I can let everything go and recharge my batteries. Marydale’s studio is my sanctuary. Just being in Marydale’s presence centers me and fills my heart with love and peace. I am blessed to be able to do rewarding work that helps people build their confidence as well as experience greater joy and abundance. As a part-time professor at California State University, Northridge (CSUN) for twenty-five years, I’ve thoroughly enjoyed teaching courses such as public speaking, intercultural communication, organizational communication, and interpersonal communication. I strive to help students understand the profound impact of words and the intentions behind their messages. One of my greatest passions is encouraging my students in the Educational Opportunity Program at CSUN, students who are from low-income backgrounds and are the first generation in their families to go to college. They are brimming with potential and ready to bloom, they just need some seeds and water and it is the greatest pleasure for me to provide those. 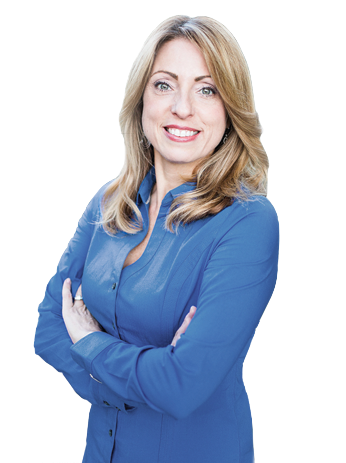 As a communication consultant who designs and delivers a variety of training and coaching programs, I seek to elevate the connections between people in the business world, so they can accomplish their professional goals while also mentoring, supporting, and empowering one another. I have been humbled by the gratitude people have expressed over the years, whether they were my students in the university classroom or senior executives in a corporate conference room. This gratitude also compelled me to offer what I’ve studied and learned in my own life with a wider audience by writing my book, Communication Secrets for Success. I wondered if I could help more people, if I could send a message about compassionate, conscious communication into the world that might be received by the very people who needed it most. I wanted my book to be for anyone and everyone who would be interested in improving their communication and relationships. I have had young college students and retired seniors alike tell me they gained something from the pages I poured my heart and soul into crafting for over five years. I also wanted the book to be user-friendly, with stand-alone chapters that people could choose from, depending on what’s most relevant for them. There are ten chapters, each with just over ten pages. 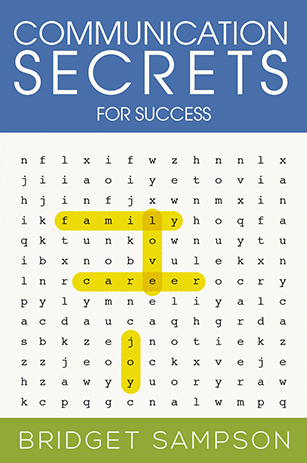 Some chapters offer my top tips for key relationships in our lives: with ourselves, our romantic partners, our children, our boss, our friends, or people we lead. Other chapters address how to manage challenging communication contexts such as public speaking, intercultural communication, adapting to different personality types, and communicating through technology. My main goal for the book is for it to be helpful to anyone who reads it or reads any part of it. I put it into the world with love and trust that it will do whatever it is meant to do. To this end, during the month of October I am offering the ebook version of Communication Secrets for Success to Param Yoga students at no charge. For those who prefer to read a physical book, I have a limited number available for the special price of $7 while supplies last. Please email me by October 31st and specify whether you’d like an ebook or print book. Thank you to Marydale for the gift of Reiki training, which has been life-changing in ways I cannot express. Many thanks to Cherise for helping me to grow and heal myself through the beautiful art of Ayurveda. My regular yoga classes, whether they be with Marydale, Cherise, Sony, Adam, or my dear friend Cindy, who teaches at another location, are necessary for all that I do and give. I would not be who I am without them. A final thank you to Kirsten, our bright, funny, honest friend (and studio office manager) who I look forward to hearing say, “Bridget!” with sincere enthusiasm every time I show up for class. You are so real, it’s unreal. Oh wait… just one more… thank you Yoda for your ancient, warm, wise spirit and sweet kisses! Many blessings to all of you and so much love. I’ll see you at the studio. Namaste. After working at Param Yoga for five years, I shouldn’t be surprised by the extraordinary synchronicities that happen in and around the studio on a regular basis, but I’m still amazed when events come together as if they’ve been orchestrated by design. 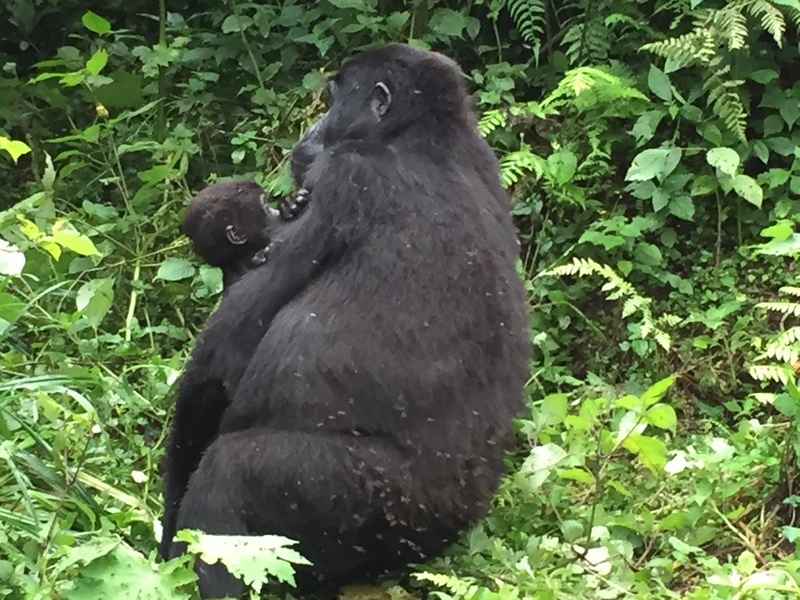 Kerry Morris had several close encounters with mountain gorillas on her trip to Uganda. When Kerry Morris took her dream trip to Uganda and assembled a wonderful slideshow of her adventures to share with our community, students wanted to know how they could get involved with helping the people of Uganda. Kerry had said they needed school supplies, but the cost to ship a box of notebooks and writing implements to Africa was almost as much as the supplies themselves. One morning in her meditation, Marydale received a message that we needed to send eyeglasses to Uganda. She mentioned this to me and asked me to put it in the January newsletter to let our community know that this would be an ongoing project for 2016. On my way to the studio one morning in late December, I was contemplating the newsletter and wondering about the logistics involved in sending glasses to Uganda. While waiting at a light, I happened to glance over at an SUV in the lane next to me and saw a decal on its back window featuring a pair of glasses and the words “Eyes on Africa.” You have got to be kidding me! As soon as I arrived at the studio, I went on the computer and looked up Eyes on Africa. It is a charity that donates eyeglasses to communities in Africa with no access to vision care—and it’s located less than four miles from Param Yoga! I emailed the founder, Sherry Grigsby, and she responded right away to say that she’d love to work with us. In fact, most of her contacts in Africa are in…you guessed it…Uganda. 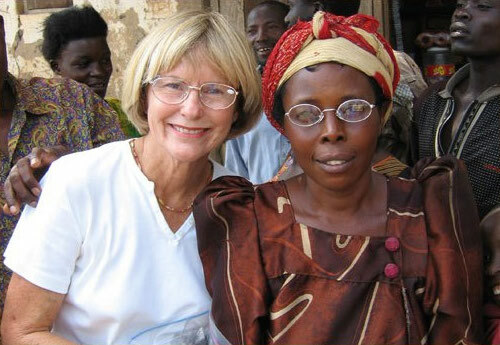 Sherry Grigsby with a grateful recipient of donated glasses through Eyes on Africa. We met with Sherry at the studio and learned of her own incredible journey with Eyes on Africa, from spontaneously giving of pair of reading glasses to a lady she met while on a trip to South Africa more than a decade ago to partnering with companies like Diff Eyewear and Y&R apparel, which donate a pair of glasses to Eyes on Africa for each pair sold. Although Sherry’s focus is on Africa, Marydale’s heart lies with Kriya Yoga and India, so she asked if it would be possible to send eyeglasses to the Prajnana Mission run by Kriya Yoga International in Odisha, India. Within days, Sherry had delivered a box of 279 pairs of glasses prepared for shipment to India. Given this auspicious beginning to our relationship with Eyes on Africa, we anticipate many interesting developments in the months ahead, starting with a special event at the studio on Friday, February 12th. Our new neighbor, Martina with My Creative Outlet, is having her Grand Opening celebration and Param Yoga will be open from 7:00 – 9:30 pm selling authentic, handmade African arts and crafts to raise funds for Eyes on Africa. There will be an encore presentation of Kerry’s slideshow, a Q&A, entertainment, food and fun. Our next door neighbor, Rhennie Viloria with Go Build Business, will also be open to showcase products and services that assist entrepreneurs on the path to success, so be sure to join us on the 12th to support women in business and promote a worthy cause. Some dedicated Param Yogis have continued to participate in our Strike a Pose project by doing yoga in places outside of the studio and sending us the pictures. 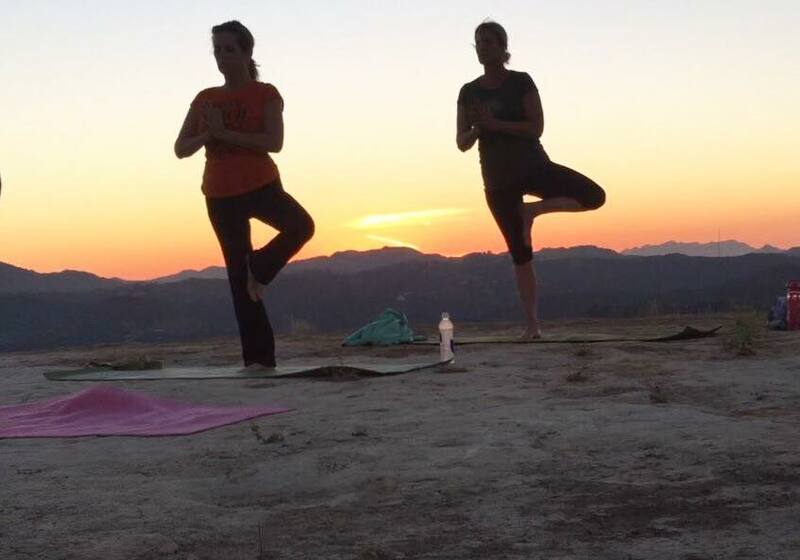 The latest shows Linda Welles (left) and Michelle Marlow doing tree pose in the Santa Monica Mountains. Keep those pictures coming, yogis! 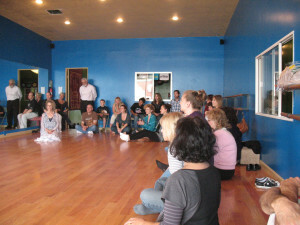 Our studio blessing ceremony in September 2010. With a grateful heart, I bow to you, our Param Yoga community! It’s been five years now since we opened the doors to our humble sangha and together we have stretched and grown in every way. Thank you for being such a precious part of our community and may you continue to thrive on your yoga journey. Together, let us anchor the month of November in gratitude as we recognize our great fortune to be experiencing this beautiful life. We embrace the good with the bad, knowing that it is through trials and tribulations that our greatest expansion takes place. We stand strong in our resolve to do our very best each day and let go, refusing to drag the past along with us. Ever turning inward, where our true wisdom, strength and peace reside, we fortify our evolutionary vision through our faithfulness to God and Gurus. Celebrate your life and everyone in it through the spirit of continuous thanksgiving for this humble posture, which summons continuous grace and presence. Blessed and grateful for you. Thursday, Oct 01, 2015	Who were those masked yogis? Even though summer is officially over, Param Yoga students have continued to strike a pose and send in pictures of themselves doing yoga in locations away from the studio. 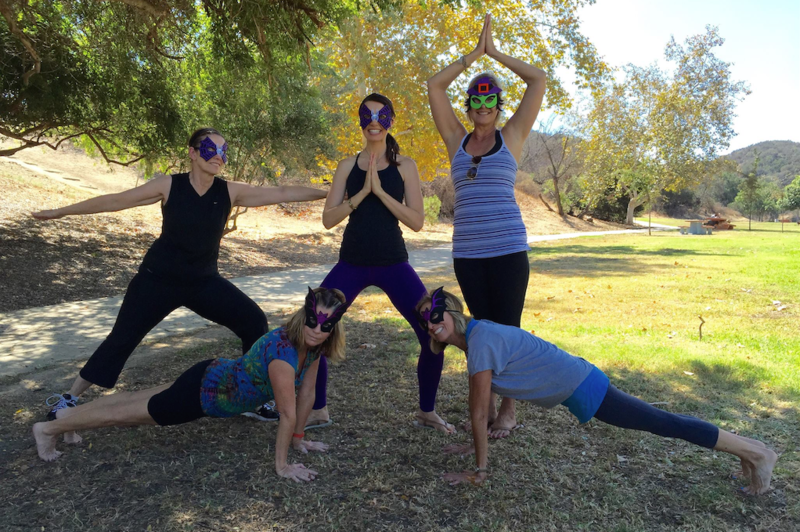 These masked yogis are getting in the pre-Halloween spirit at Serrania Park in Woodland Hills. Standing from left are: Kerry Morris, Cherise Kruger, and Michelle Marlow. In plank pose from left are Linda Welles and Ann LaManna. All my life I’ve dreamed of visiting Africa to see this special and spectacular country. I’ve always wanted to see mountain gorillas up close, in their own habitat. In June, I finally went to Uganda, in Eastern Africa, and my lifelong dream became a reality! With much encouragement from my sangha at Param Yoga – especially from Marydale – I went through over 3,000 photos and videos taken during my trip and created a slideshow to share with you. I am excited to share this with you and hope that you’ll see and feel how special this place truly is. Rich in biodiversity, ranging from swamp to grassland to near-tropical woodland forests, the flora and fauna are magnificent! You’ll see lions, elephants, monkeys, and, of course, mountain gorillas from two gorilla treks in Bwindi Impenetrable Forest. Oh, and since this was a bird-watching trip, you’ll see some birds too. Kerry’s slideshow will take place at Param Yoga on Friday, August 14th from 7:00 – 8:30 pm. This event is by donation and promises to be a fun and educational experience, so bring a friend and spend the night with your Param Yoga community. *UPDATE – Due to popular demand, Kerry will be presenting an encore of her Uganda talk and slideshow at Param Yoga on Friday, September 25th at 7:00 pm. Kerry has a wealth of information about Uganda, its people, and the native flora and fauna, including the spectacular mountain gorillas. Her presentation was fascinating and eye-opening to those of us who had the privilege of seeing it the first time, so if you missed it, be sure to join us for this special screening. As before, this event is by donation and no registration is necessary. I am relatively new to the teachings of Abraham. I had heard the name before and puzzled over the language on the Abraham cards I chose during my Reiki trainings with Marydale. After my husband and soul mate, John, transitioned a year ago, I wanted to understand how my soul mate could appear and then disappear in so short a time and how to continue to move forward in love and joy. Abraham kept coming up in my conversations with Kirsten, Marydale and many others. Kirsten is a wealth of information and our conversations led me to many recordings and the book, Law of Attraction. When I read the preface to Law of Attraction by Jerry Hicks about the questions he had and the knowing, I got goose bumps—this was what I was searching for. Over time, I came to a new understanding of life. We are all part of the same Source energy, or God—if you prefer that name—and, as Marydale reminds us, we are not our body. After nine months I was feeling much better, but there was a nagging sense of guilt and doubt. I wondered: what is my purpose? How do I make choices? I want to be happy, but I’m not sure how to let go. What is mourning and grief anyway? Abraham ends their seminars and conversations saying, “There is great love here for you.” As I approached the 1-year anniversary of the night John left his physical body, I wanted to experience the truth of those words. On June 20th, I attended my first Abraham-Hicks seminar. It was a truly profound event. The seminar was in Denver—a 16-hour drive—which was a wonderful opportunity for me to listen to my newly acquired CDs of Diary of a Yogi. I drove, marveling at the panorama unfolding before me, as Ben Kingsley’s melodious voice intoned the stories of the many great yogis who impacted the life of Paramahansa Yogananda. The parallels between the Yogananda’s stories and Abraham were striking and reassuring. I was listening to the words of God on my way to meet God. The morning of the seminar I was up early for my Kriya practice. I felt that everything was as it should be— the day would unfold exactly as it was meant to. Walking towards the meeting room I discovered lots of smiling faces. Everyone was so happy to be there! I signed in and found a seat near the front on the aisle. There was an impressive array of books, cards, CDs and DVDs for sale. I made my purchases early, knowing I could add to them later. As I waited, I could feel the energy building as the room filled up. Esther stepped on the stage and thunderous applause and cheers erupted from the more than 600 attendees. She gave us the ground rules and then stepped to the side to summon Abraham. As she closed her eyes and breathed, I watched the transformation, amazed. Her expression became one of peace and knowing. Esther nodded several times, opened her eyes and Abraham welcomed us. After giving us a brief foundation of the thoughts and ideas they wanted to share, the first attendee was called to the hot seat. He had a question about his cat. I thought about my beasts and realized the answer would serve me well too. Then a woman was called to the hot seat whose husband had committed suicide. Abraham gently helped her find release. Explaining that the grief and guilt she felt was simply her disconnection with her Inner Being, her Source. Her Inner Being was feeling quite the opposite and knows that all is well. She is well. Her spouse and friends are well. What she was calling tragedies are not tragedies, but choices made by others over which she had no control. They are in a place of joy and they want her to be joyful too. I listened and felt the truth in their words. John’s frequent question to me when he was in his physical body was, “Are you happy?” He always wanted me to be happy and would tell me that I was to do whatever it took to be happy and stay happy. I finally understood what he meant, and I appreciated how truly connected he was to his Source. My first question was answered. As for my other questions, one by one they, too, were answered. Even though I was not picked, I began to feel more and more appreciation for Abraham, Esther, the people in the hot seat and everyone in the room. I was basking in a wonderful pot of unconditional love and appreciation. All too soon it was over and Abraham closed, “There is great love here for you.” And I knew that was true! Memories of the discussions and the Yogananda’s words guided me home. As I listened to Sri Yukteswar’s analysis of sections of the Bible, I realized the information is not new—it can be found in all of the religious teachings of the world. Abraham reminds us that we are all connected—connected by Source. We are all Source energy. God force, or whatever you choose to call it, is flowing through all of us. I am happy and will do whatever it takes to stay that way. I know John is not dead; he is more alive than ever. He has let go of the resistance he felt on this earthly plane and in his physical body. There is so much more to him; to me; to all of us. Listen to the voice within you. Meditate, take the time to line up your energy, and then see how high you can fly! There is great love here for you. One of our students, Dawn Kersten, was recently visiting the Erie Canal in upstate New York. 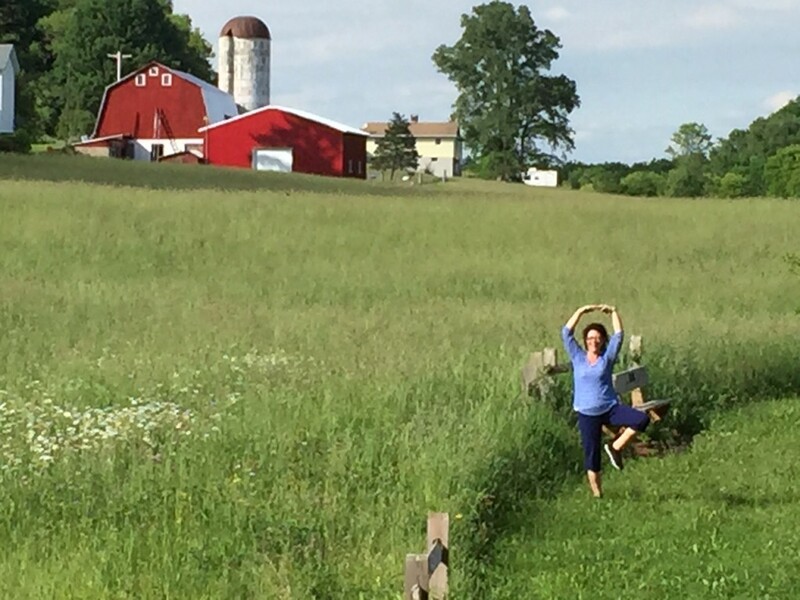 She and her husband were at the Nine Mile Creek Aqueduct in Camillus when he received a business call, so she decided to take some time out for a little yoga. As she was standing in tree pose, her husband secretly took a picture, which she sent to Marydale. This gave Marydale an idea. Since many of our students will be traveling this summer—some to locations as far away as Africa—she’d like for the members of our community to send us pictures of themselves doing tree pose or some other yoga asana in locations around the country…and the world! We will post them on our blog and feature the best and most creative pictures in our monthly email newsletter. We hope that you’ll participate in this fun project and continue your yoga practice, in one form or another, even while you’re away from the studio. Happy trails!